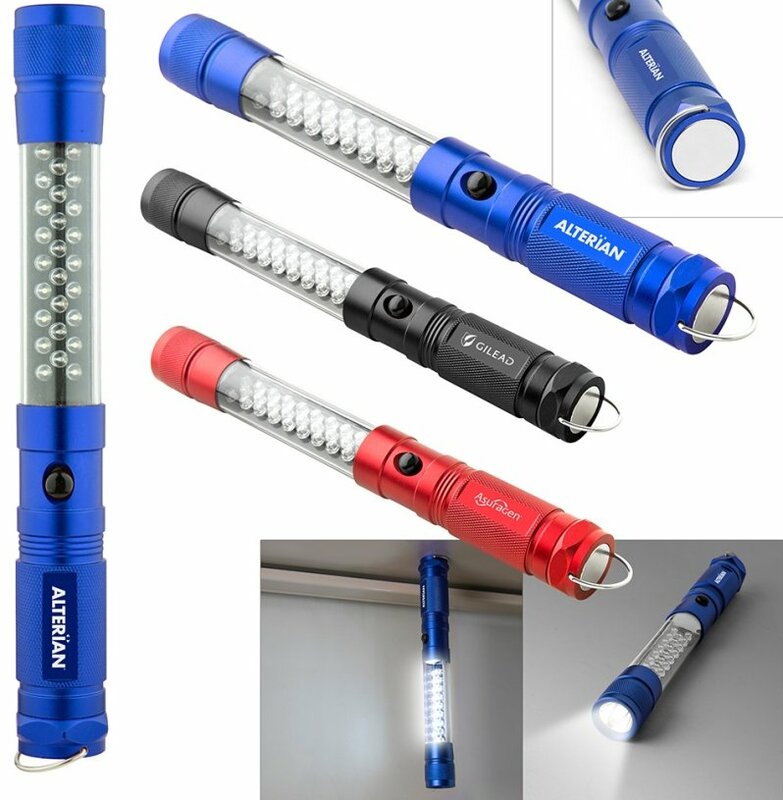 Get your logo engraved Emergency LED Promotional Flashlights. Trade show giveaways, auto - truck related, promotional items. 8 Blinking Red LED for emergency. Magnet base & a hook. Colors: Anodized aluminum bodies in Blue, Red & Black. Overall is 9 15/16 wide x 1 1/8 dia. Individually boxed. Flashlight requires 3 AAA batteries and are included. Price includes a laser engraving on handle area 1" w x 1/4" h.
Factory setup charge is $55.00. Imprinting on item N/A.